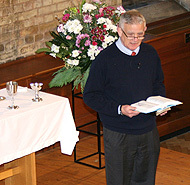 Our regular Sunday services at Christ Church feature a morning and an evening gathering every Sunday. 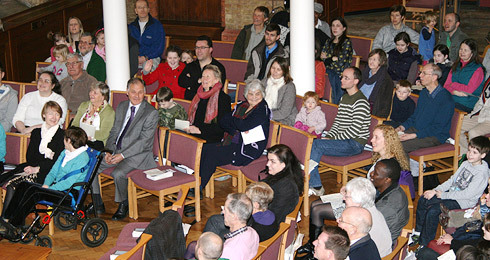 All ages join together for the first part of our meeting where we sing and learn together in our Bible Bitesize spot. Bible Bitesize is where we look at a verse or two from the Bible as a whole church family, from the youngest children to the oldest adults. After this, those aged 3 – school year 9 move to their various groups where they learn from the Bible through fun activities until 12 noon. 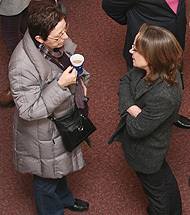 Adults stay together in the main church building for their teaching, followed by coffee.